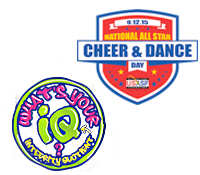 MEMPHIS, TN, July 17, 2018 -- The U.S. All Star Federation ("USASF"), a not-for-profit corporation established to make All Star Cheer and Dance a safer sport, has selected Quadrant Biosciences Inc. ("Quadrant Biosciences") as its official brain health partner. Quadrant Biosciences will provide USASF programs access to the ClearEdge Brain Health Toolkit ("ClearEdge"), their unique brain health assessment tool that objectively measures and tracks cognitive function, balance and symptoms. The USASF was established to provide consistent rules that foster a safer environment for its athletes and to promote a positive image for the sport. To achieve this objective, the organization maintains safety guidelines, certifies Legality officials, and credentials coaches. To this end, the USASF created a partnership with Quadrant Biosciences and their novel ClearEdge Brain Health Toolkit. ClearEdge was developed in cooperation with researchers and clinicians at SUNY Upstate Medical University and includes a collection of FDA compliant functional assessments designed to monitor and track subtle changes in cognitive function, balance, and patient symptoms over time. Certified ClearEdge test administrators will meet with USASF members pre-season for initial brain testing, then throughout the season as needed to monitor the health of the athletes. Kristen Lawless, a cheer mom from Dallas, Texas explained how having her daughters tested with ClearEdge helped ease her mind over head injuries. ClearEdge has given my family the comfort of knowing we can handle a concussion if one occurs again. Through baseline testing and monitoring throughout the injury cycle, I know my children are in the very best hands." USASF programs across the country will have access to ClearEdge within the coming weeks to begin pre-season testing. Lawless encourages other cheer moms to consider having their kids tested with ClearEdge. "Cheerleaders are athletes, sometimes athletes get hurt. I am thankful to know ClearEdge is there to help." Parents or program owners interested in having their kids ClearEdge tested can sign up on the by clicking here. If you are a healthcare professional interested in working with Quadrant Biosciences and USASF in managing the brain health of athletes in your local market, please email info@quadrantbiosciences.com. Quadrant Biosciences Inc. is a Life science company involved in the development of functional assessments and epigenetic diagnostic solutions for large-scale health issues. The company participates in the Start-up NY program, a New York State economic development program. Quadrant Biosciences has also entered into collaborative research relationships with a number of institutions including SUNY Upstate Medical University and Penn State University to explore and develop novel biomarker technologies with a focus on Autism Spectrum Disorder, concussion, and Parkinson's Disease. For more information about the ClearEdge toolkit, visit www.clearedgetest.com. For information about the company, or if interested in participating in the testing, contact Quadrant Biosciences at info@QuadrantBiosciences.com or visit their website at www.QuadrantBiosciences.com. The USASF is a not-for-profit corporation designed to enrich the lives of All Star athletes and members by providing consistent rules and driving competition standards to promote a positive environment for young athletes. The USASF programs, initiatives, rules and policy development are created and brought through regional and national committees, executive committees and board of directors to ensure each development is upheld to mission standard before being carried out. To learn more about becoming a member or the USASF, visit www.usasf.net or contact a USASF Regional Director.